As the operations manager for SEC’s Erosion Control Division, Shannon oversees the production, logistics, and quality control of the Filtrexx® line of products and is responsible for building relationships with current and prospective customers. 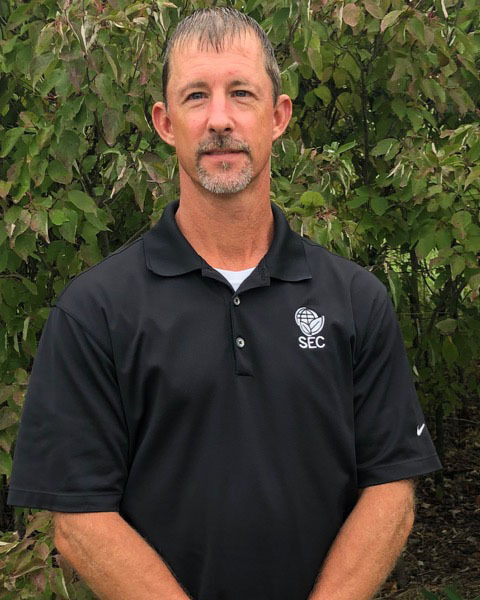 He has been with SEC since 2011 and has helped position the company as a premier manufacturer of SiltSoxx™ in Kansas, Iowa, and Texas. During his time at SEC, he has seen a growing change in the culture where cities, counties, and states have become increasingly concerned with the environmental impact construction projects are having on water bodies. Before joining SEC, Shannon spent 23 years working for a building supply company managing production, scheduling, quality control, contractor relations, purchasing, and distribution. In his spare time, he enjoys spending time with family and friends, fishing, and hunting. He also is passionate about racing and has done some dirt track racing.